button on the catalogue or lot basket page. Setting a bid does not send it to us - it is purely for your own reference. Once you have set bids you can send them to us as absentee bids . You cannot send bids unless we have your full address, you can update it on the my details page. If your bids are successful you will be emailed an invoice at the end of the auction. Please note that in placing absentee bids, you are entering a legally binding bid on the items you indicate. To receive notifications of auctions check the box stating 'Send me auction announcements', then click update. To receive keyword search results by emails start typing a word/phrase in the keywords box. When an antique sale catalogue is uploaded, the catalogue would be searched for ( using the above example ) all lot descriptions that contain all the words oak refectory table. It would then search for all those containing the word clarice cliff again an you'll recieve an email with links to the results. Also try not to use generic terms such as furniture or militaria as these would likely never be used in a lot description. On the catalogue page when viewing a lot detail you can click request condition. You can then add any request details or areas to photograph before sending the request. To bid live during an auction, firstly add items of interest to your lot basket via the catalogue. 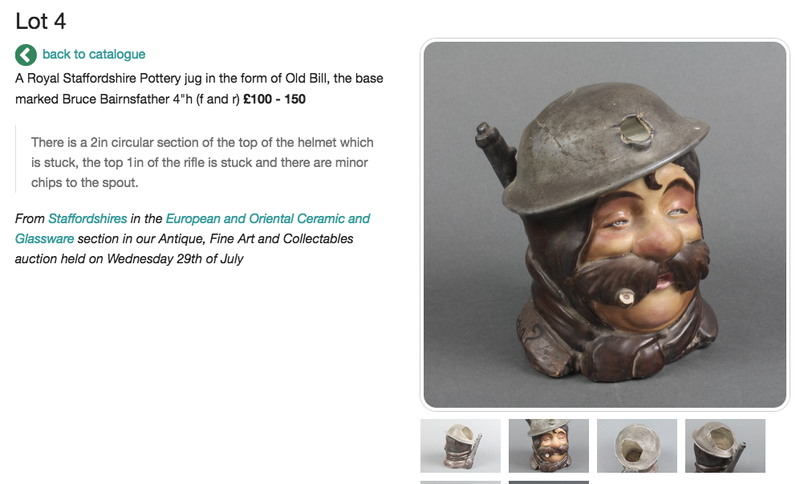 Then visit your lot basket and select the 'Request to bid live' tab. Click 'request live bid' on all lots you are interested in. You cannot send absentee bids on lots you are live bidding on. On auction day open up the bidding console ( from the members menu 'my lots >> watch / bid live' ). When your lots are about to come up you will hear an alarm sound ( this happens five lots before your lot but you can turn this off ). When it is time for your lot to be sold a green bid button will appear. When you click 'bid' we are notified of your pending bid. Bids from buyers in the room always take precedent so your bids may initially be rejected until no one is left bidding. As with any bids you will be invoiced by email at the end of the auction for the lots you were successfull with.